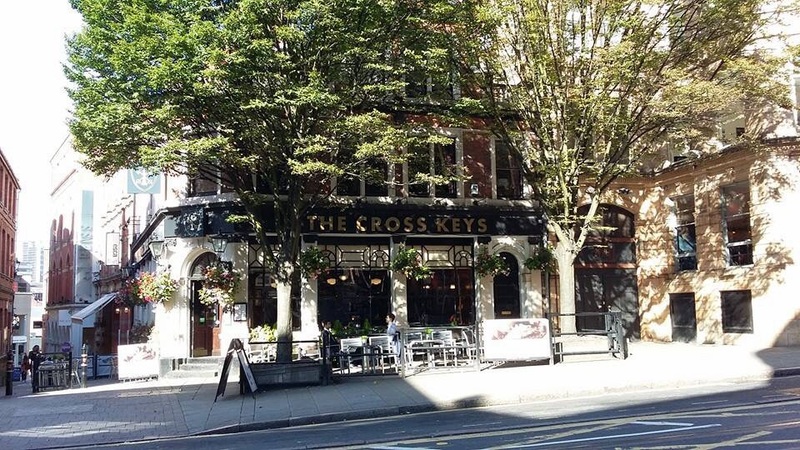 On the cusp of the Lace Market with its trendy attractions, the Cross Keys keeps things simple and traditional. The split level bar contains a good selection of the owner’s own Navigation Ales (and a growing number of their craft beers) and there are screens showing sport – though usually with the sound turned down. 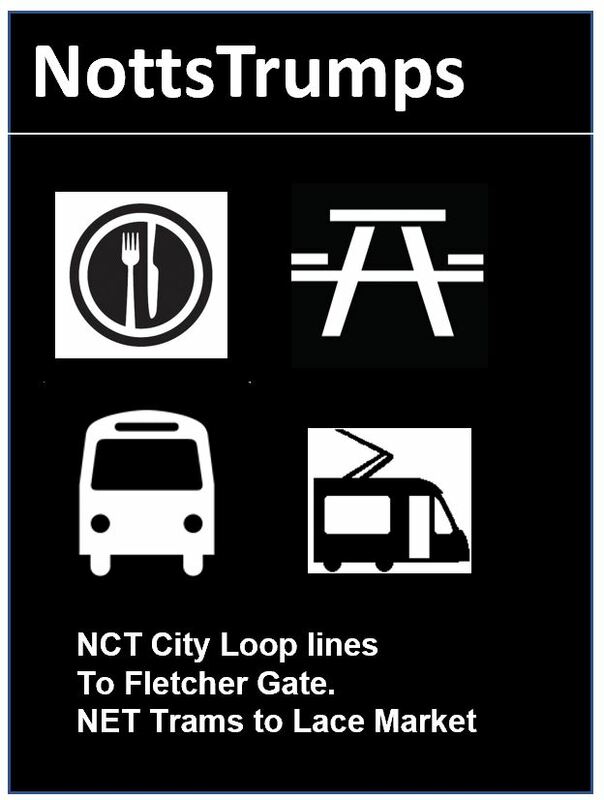 There’s a small outdoor seating area of the weather’s good, though unless you get a table on the Byard Lane side, you’ll most likely choke on a combination of taxi fumes and vaping odours. It can get incredibly busy at the weekends, so don’t be surprised if you have to stand or squeeze your way to the bar. The bouncers will usually keep any trouble at bay. Byron Clough – fusing Nottingham’s two most famous drunks. Music : No bands but you might occasionally get some background tunes to distract you. Food? 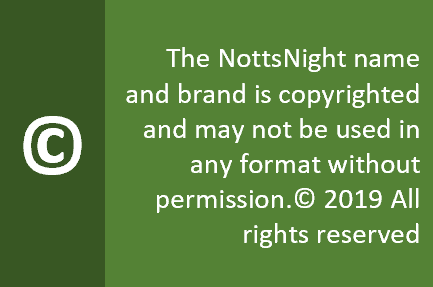 A plentiful and varied menu, complete with theme nights. Customers? All human life. And then some. Opinion? Navigation knows its audience. The Cross Keys keeps tradition alive in a district that has been far too prone to rebrand itself every five minutes. Collect a card at the bar and get a free pint for every six you buy. 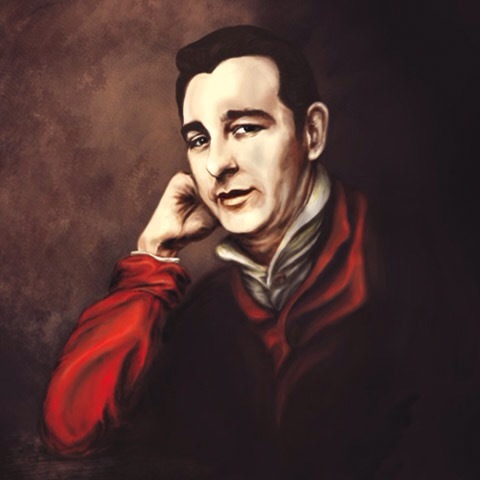 And don’t miss the “fusion” portrait of Nottingham heroes Lord Byron and Brian Clough.